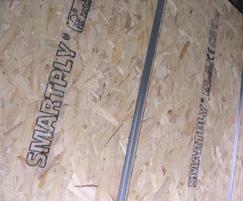 SMARTPLY PATTRESS PLUS is an engineered OSB3 panel incorporating a continuous recess, designed to accommodate ‘C’ shaped metal studs used in the construction of plasterboard partitions. It is tested to the relevant sections of BS5234 Part 2 demonstrating high pull-out strength. 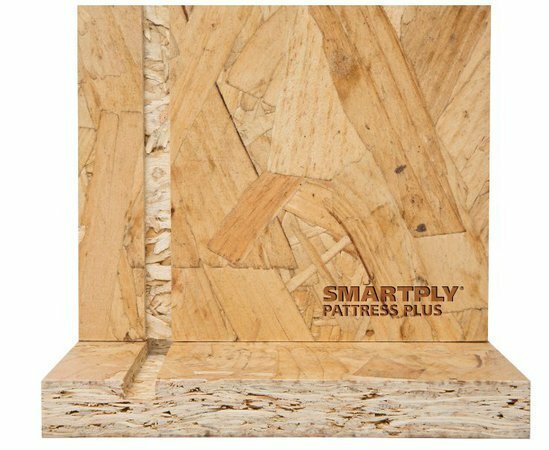 SMARTPLY PATTRESS PLUS is designed to provide support for fixtures and fittings in non-structural metal stud constructions. 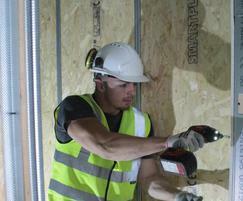 The ready prepared modular panels are quick and easy to use and fit all commercially available drylining stud systems. 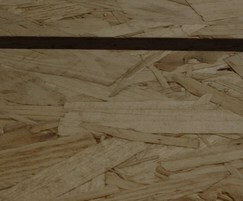 The high performance solid core OSB3 ensures secure anchorage at any point on the panel face. 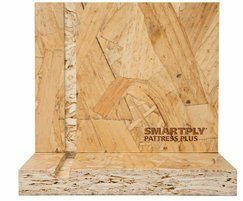 SMARTPLY PATTRESS PLUS does not add to the finished partition thickness and provides a robust partition structure suitable for use in in public access areas including corridors and stairwells, contributing to higher levels of impact resistance. As SMARTPLY PATTRESS PLUS has zero added formaldehyde, it can be used in environmentally sensitive interior applications where formaldehyde emissions need to be kept to a minimum such as hospitals, laboratories, museums and schools.